Did you know there’s a difference between ​PHYSICAL EDUCATION and PHYSICAL ACTIVITY? 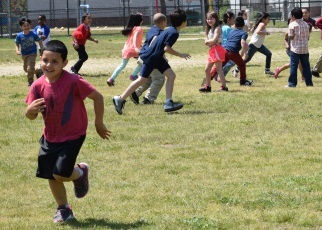 Both PHYSICAL EDUCATION and opportunities for PHYSICAL ACTIVITY are important for the physical, cognitive and social emotional growth of all students. Research has proven Physical Education and physical activity breaks during the school day enhance student concentration, focus and successful learning while reducing behavior problems. Physical Education and physical activity promote student health and do not compromise academic learning. ​PHYSICAL EDUCATION is the best opportunity to provide physical activity to all children and to teach them the skills and knowledge needed to establish and sustain an active lifestyle. PE is taught by a highly qualified physical education teacher, taught through a well-defined curriculum with planned sequential instruction, which promotes lifelong physical activity. Physical Education, by RI law and RI Department of Education regulation, is required in grades 1 – 12. 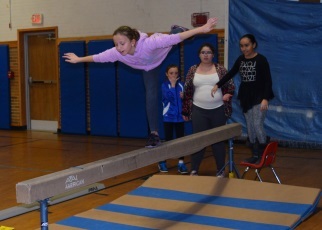 Students should receive an average of 100 minutes per week of health/physical education with a school PE curricula aligned with the standards and performance indicators in The Rhode Island Physical Education Framework. PHYSICAL ACTIVITY is bodily movement of any type and may include recreational, fitness and sport activities such as jumping rope, playing soccer and lifting weights, as well as daily activities such as walking to the store, taking the stairs or raking the leaves. Schools should provide physical activity opportunities before, during and after school to enhance the PE curriculum. Recess, intramurals, interscholastic sports, classroom activity breaks and walk/run and bike programs can be offered at schools. Framework for standards-based PE curriculum. and develop the knowledge, skills, and confidence to be physically active for a lifetime.